How comfortable are you discussing death with your child? How do you handle your own emotions while comforting your child? November is Childhood Grief Awareness Month, and here are some tips to help parents use emotional intelligence to talk about grief and loss with their kids. In the United States, 1 in 20 children lose a parent before adulthood. More than that lose a grandparent or person close to them. Clearly, we have a lot to offer the children in our lives, be they our own, or those under our care. 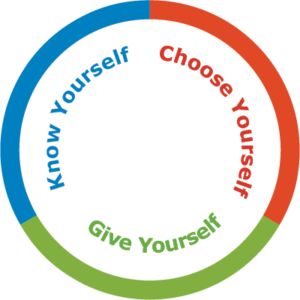 The three pieces of the Six Seconds model – Know Yourself, Choose Yourself and Give Yourself hold the key to supporting these children. Know Yourself – Are you uncomfortable talking about death? Are you grieving yourself? Recognizing your own attitudes towards death is crucial if you intend to approach grieving children with empathy. Recognize your attitudes and feelings. There are no wrong feelings – just unidentified ones. Realize that children process loss very differently than adults. 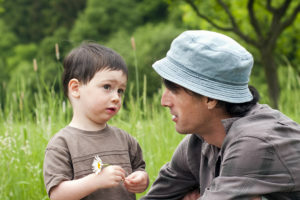 Try to hold back what I call your “wince instinct.” That’s the immediate flinch you’ll make when a child responds, “My Dad died,” in response to “Where does your Dad or mom work?” The child knows and sees this response. Grieving children are highly attuned to the responses of adults around them and will want to avoid causing you pain. Even though they are the ones grieving, they will try to protect you from discomfort because they want to make sure that the rest of their adult relationships are as secure as possible. We want these children to talk to us, not to pretend they are ok. 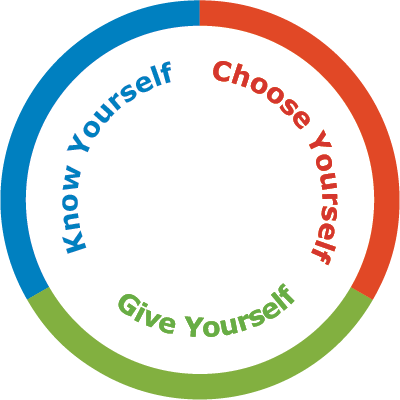 Choose Yourself – When a grieving child asks about what happens when someone dies or after someone dies choose your most honest and brave self. Don’t sugarcoat your language. They were brave enough to ask the question; surely you can be brave enough to say, “When someone dies the organs in their body stop working. They are not asleep. Death is permanent.” This is especially important with young children who can be confused by euphemisms like, “the person passed, is asleep with the angels.” Choose your brave self because the child chose you to talk to. Also, they may be checking to find out of you’re one of “those adults” who won’t give them a straight answer. 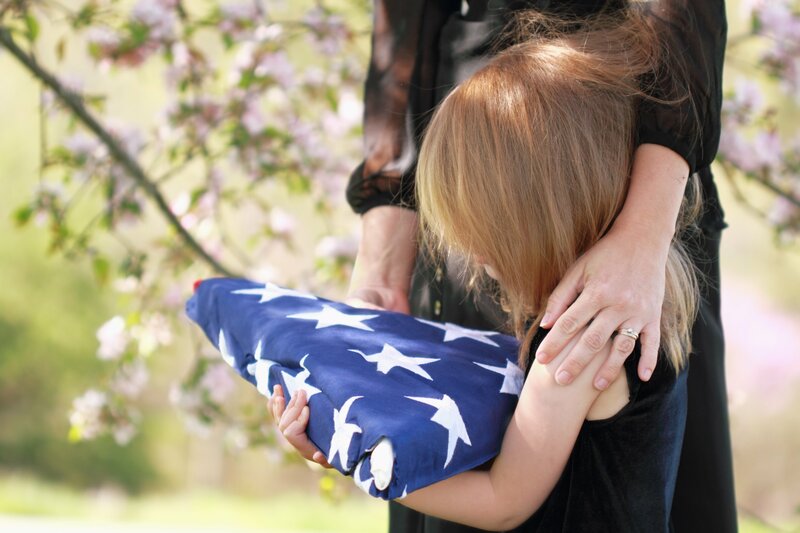 Grieving children are looking for people to trust. Choose to be that person. 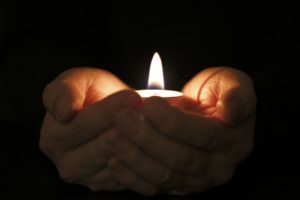 Give Yourself – What grieving kids need more than anything is the comfort that they can be themselves and have whatever feeling is coming to them. The best gift you can give them is the knowledge that there is no right way to grieve. It’s o.k to feel angry, sad or scared. It’s also o.k to play with friends, laugh and be happy. Ask before you assume. When my father died, I was eight. A short while afterward, we had a family party for my First Communion. I was promised a specific section of the cake. When the time came to cut the cake, my well-meaning and helpful aunt (not knowing I’d been promised a very specific piece) sliced right through that piece. I left the room in tears. When people came to check on me, they assumed I was crying because I missed my father. At that moment, I wasn’t. I just wanted that one, darn, piece of cake. That’s not to say I didn’t miss my father, but that wasn’t what was happening for me at the moment. I felt guilty when I had to admit that I was angry about a silly piece of cake. From what I’ve heard talking to grieving children, feeling guilty for normal “kid” reactions is not that uncommon. Sometimes a child is simply responding as a child, not a griever. That’s o.k. Let them know it’s o.k by asking, “What are you feeling?” or “What’s wrong?” rather than guessing that it’s about their loss. Asking open-ended, non-leading questions is a great way to give of yourself. Kat e Thome is a writer and consultant in Northern California. Her writing appears at Mutha! Magazine, Grief Healing, Talking Soup and on LinkedIn. 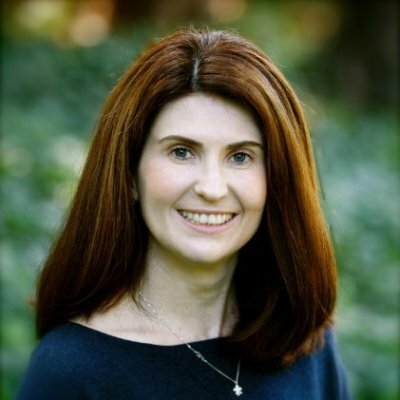 She holds a BA in Philosophy from the College of the Holy Cross and an MBA from the A.B. Freeman School of Business at Tulane University. A member of the National Alliance for Grieving Children, she blogs about her memoir in process at http://irememberthatnight.blogspot.com. Thank you for sharing Kate. I agree that children need us to be authentic in order to feel safe enough to trust us with their own feelings. Children are deeply empathetic and I have also observed that they will hold back for an Adult because they believe that if they remain strong somehow it will ease the other person’s pain. Although everyone grieves differently if we all acknowledge what we feel and choose to act intentially we all have the ability to give completely of ourselves. This creates moments of human connection for the child. We can never be a substitution for their loss, nor do we want to be, but by authentically showing empathy we can help them remain hopeful and resilient. Ultimately allowing them to flourish into the child, young adult, that they were meant to be. Thanks for your comment Analia. You’re right – with authenticity we can help them remain hopeful and resilient.